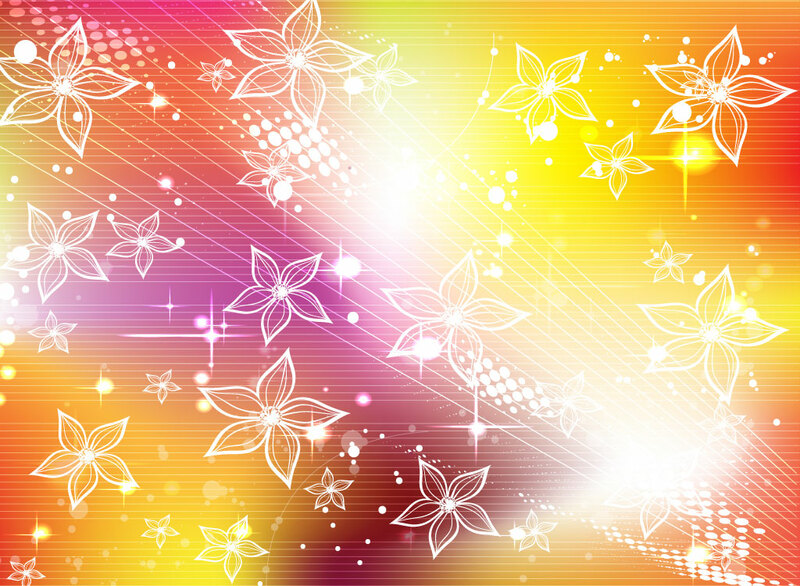 Cool vector backdrop for your digital art designs. An bright color scheme, floral graphics, wire frame lines, half tone dots and cool lighting make this backdrop a combination or modern and seventies disco design. A great choice for band and music fliers, brochures and wallpapers. Zip file comes with AI, PDF and JPEG files. Tags: Autumn, Backgrounds, Circle, Flowers, Lighting, Nature, Orb, Shapes, Stars.